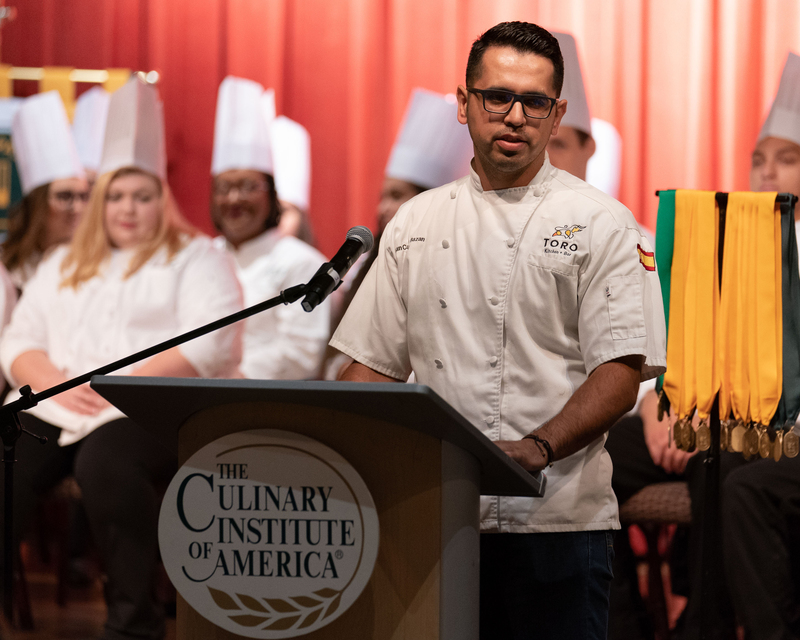 San Antonio, TX – Juan Carlos Bazan, executive chef of Toro Kitchen and Bar in San Antonio, delivered the commencement address at the Texas campus of The Culinary Institute of America on September 7. Originally from Zacatecas, Mexico, Chef Bazan worked at Pujol in Mexico City—one of the world’s 50 best restaurants—under chef-owner and CIA graduate Enrique Olvera. His career has also taken him to the Michelin-starred Monastrell restaurant in Alicante, Spain and the Emporium Hotels in Mazatlán and Mexico City. Toro was named Best New Restaurant in San Antonio for 2018 by San Antonio magazine. Chef Bazan participated in the 2018 Paella Challenge to support CIA scholarships, where he won the People’s Choice award. The CIA San Antonio offers degrees in both Culinary Arts and Baking & Pastry Arts. Graduates can then transfer to the college’s New York campus to complete bachelor’s degrees in Food Business Management, Culinary Science, Applied Food Studies, or Hospitality Management.